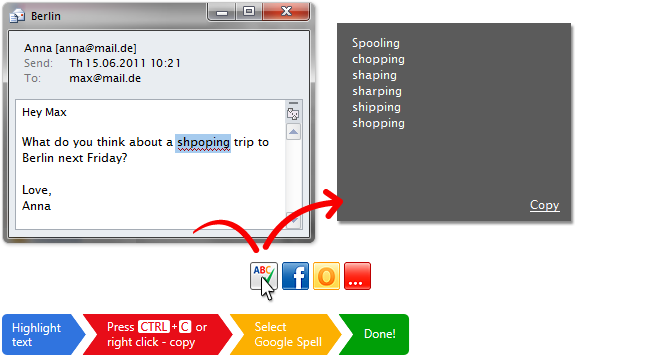 Spelling errors found – with one click. Most people don’t know about Google Spell Checker – Google hid it away. It’s still very useful, because with the Google Spell Checker you can quickly check any typed text, whether in an e-mail, a PDF or a webpage. Just highlight the word in question or the relevant passage, copy and click on the “click.to Google Spell Check” icon above your mouse, and then select the correct spelling from the window. So easy!